Greater Boston & North Shore Homes for Sale | Real Estate Agents. Finding your next home in Massachusetts couldn't be easier. There are many cozy towns up the North Shore and throughout Greater Boston. Oceanfront towns like Marblehead, Swampscott and Lynnfield are further up the coast. Still convenient to Boston by highway or commuter rail. More affordable waterfront homes for sale in Winthrop and Revere. The upscale communities of Winchester and Lexington are close to Boston. You might also look in nearby towns of Malden, Medford and Melrose. Each is unique in their own right. 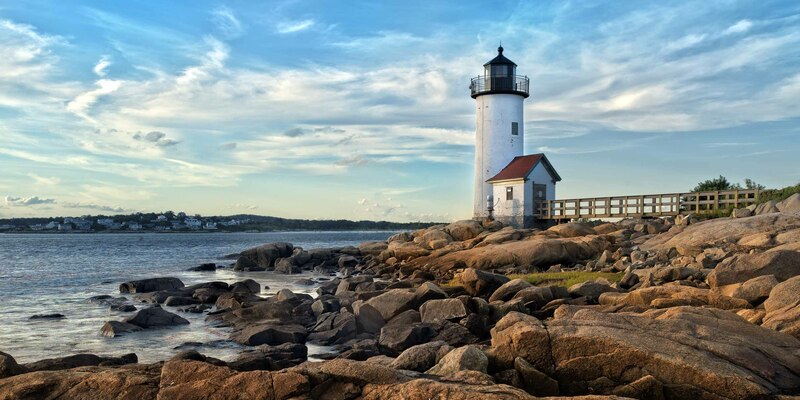 Massachusetts North Shore is full of historic towns, like Salem and Marblehead. In fact, many North Shore homes for sale today, were built hundreds of years ago. The North Shore starts at Winthrop (in Suffolk County), and extends up the coast and through Essex County to the New Hampshire border. Commuters have options. Many residents commute to Boston by rail or by boat. The coast is loaded with fishing villages and harbor towns like Beverly and Gloucester. Beach towns. And, towns well known for their artistry and antiques, like Rockport and Ipswich. The MLS advantage over other real estate search engines is huge. Listings on masshometeam.com are updated daily directly from the multiple listing service in ma. It's easy. It's free. And it's accurate. If it's on this site. It's on the multiple listing service in ma. To see the many ways you can run a real estate mls search for free, visit our advanced search page. Houses and Condos for sale around Boston. Historic Homes for Sale from the 1600's, 1700's and 1800's. And properties for sale anywhere in Massachusetts. Homes listed for sale on this site come straight from the MLS. The same real estate service real estate agents use to find homes for sale. Yours to use at no cost. Listings come with pictures, prices, descriptions and more. When you search property listings from the MLS - Multiple Listing Service - you get the most accurate, current homes for sale. There are a ton of retirement communities in Ma. Some close to the city. Others nestled into back roads - near small towns. Maybe you want to get away from it all, or jump right into the thick-of-it. Either way, you will find the perfect home for your life over 55 right here in Massachusetts. These communities cater to active adults 55 and over. Amenities often include low-maintenance exteriors and single-story living. Many focus on affordable, safe, hassle-free living. While new 55+ communities pop-up all the time in Massachusetts, there are more than a few established senior living. You will find friendly neighbors, clubs and activities to keep you happy and engaged for years to come. Massachusetts was founded in 1620 and still thrives today. The average sale price for a home in Massachusetts is $319,900 - significantly higher than the national average of $175,000. Don't let the high home prices get you down though. Our median household income is 6th highest in the nation at over $65,000 a year. Over half of the homes in Massachusetts are single-family. Popular styles vary from the Cape, popularized in the mid-1800's, to the Tudor, with its diamond-pane windows and steeply pitched roof. The Eastern portion of Massachusetts is very densely populated, which has led to a great wealth of condos and multifamily homes. Condos offer more care-free living. Multifamily homes, on the other hand, are great for the investment-minded buyer. You can live in one unit, while renting out the others - and the renter to pays a big chunk of your mortgage for you. Choose a city in the search box above. Narrow your search by price-range, beds, baths, property type - even neighborhood. If you would like to select multiple towns, find foreclosures, need a specific square-footage, or need to narrow by any number of more defined criteria, use Mass Home Team's advanced search tool. Mass Home Team is here to help you find a home. Wherever you live in Massachusetts. Use us for all your Mass realty needs.